Release Date:03/23/2018;Notes:LP version. 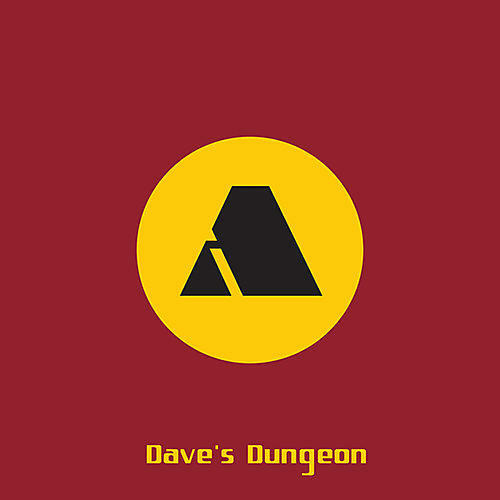 Dave's Dungeon boldly follows Avon's first LP Mad Marco (2016) with a marked progression, rawness, defiance and it certainly packs a punch. Recorded in Los Angeles and produced by James Childs, the group is on fire. "Yello" kicks off the album clearly showing the band's roots in punk rock delivered with an "in your face" clarity. Meanwhile "Terraformations" settles you into a machine like "robot rock" ride, immediately providing the listener with classic Hernandez drums and Childs's distinctive guitar style bound with solid bass riffing from Pasarell that tells a story of human conquest. Next in line is more "in your face" punk rock about personal memories gigging at the "Red Barn" that is a famous venue in the California desert. "Hero With A Gun" shows the band's diversity with dreamy instrumentation, melody, and production conjuring thoughts of California on the big screen. "Mace Face" is a "secret agent" style Avon standard that delightfully punches it's way through to your heart. "P51" shreds with a guitar harmonics style similar to Maiden's Killers (1981), giving an apt description of the classic American fighter aircraft. Kicking back in the desert with "Space Native" and realizing how big and lost one can feel, only to snap right back to reality with "On Fire" agreeing to disagree in a nod to some schoolboy led heroes. "Dungeon Dave" relates to the album's title and is about a very special place for the band members on tour in Europe close to Eutopia. The album comes to a close with just three words "Was Ist Los?" performed with their unmistakable space rock style that will surely be a classic Avon "mantra", simply meaning "what is wrong?"